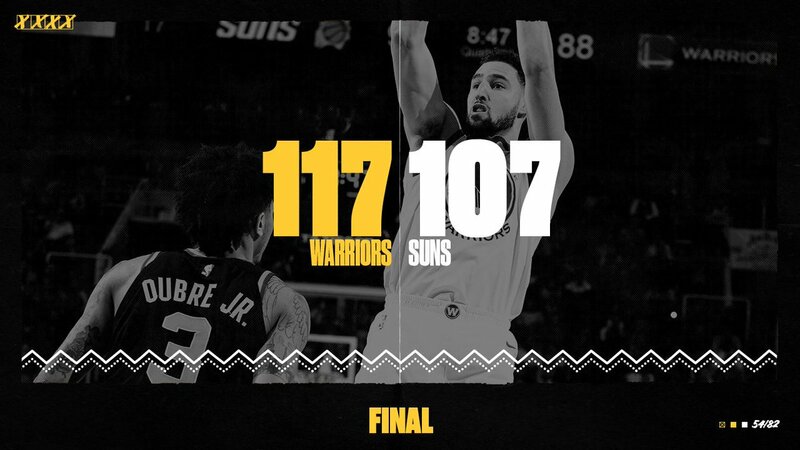 The Golden State Warriors beat the Phoenix Suns 117-107 in the regular season game of the NBA 2018-19 at the Phoenix Talking Stick Resort arena, Arizona. Golden State won the Western Conference with 39 wins (15 losses) in a row with three consecutive wins. On the other hand, the bottom-most Phoenix dropped to 13 losers and lost 46 of the season (11th). The Golden State Warriors has won three consecutive wins after beating Phoenix Suns. Thompson scored 25 points, Durant scored 21 points, and Curry scored 20 points, including three with three. Cousins ​​and Green also scored 18 points and 13 goals and joined the double-digit scoreline. Deandre Ayton scored 23 points for Phoenix, while Jackson and Bridges scored 19 points each. Phoenix, who finished second in the world in 2018, scored 23 points and 11 rebounds for the double-double. Josh Jackson (19 points, 8 rebounds, 5 assists), including Mikal Bridges (19 points, 5 rebounds), Kelly Oubre Jr. (25 points, 12 rebounds) Phoenix lost 13 straight. However, the game was in full swing. The first quarter Phoenix dominated the Golden State. With Ayton scoring in every corner, the Golden State's early goals did not break out. 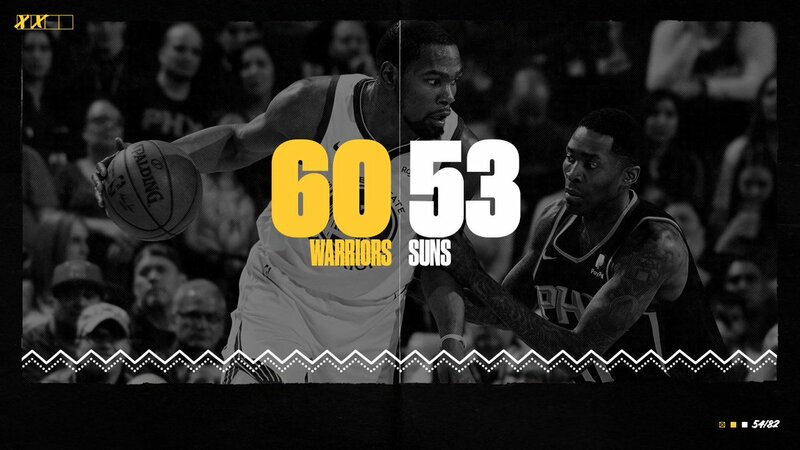 In the last quarter of the season, Golden State scored a three-point shot and scored in the 31st and Phoenix finished the first quarter with a lead. It was Phoenix who caught the lead early in the game. It was 31-26 ahead of the first quarter. Golden State flew away as they scored points along the way during a mistake party. The Golden State reversed the game at once with Durant scoring. Phoenix, however, was tough. Ayton had a fierce battle with Golden State in the offensive under attack. Jamal Crawford's three-point shot led the Golden State to a 41-39 lead in the second quarter. Curry, who was silent, started to add strength with his first three-point shot. In the end, the second half finished 60-53 with Golden State catching the lead. The Golden State scored in the third quarter, but the Phoenix counterattack was unbelievable. Ayton's scoring, including Bridges' three-point shot, lifted the Phoenix. Phoenix, who scored steadily, succeeded in reversing to 85-82. It was curry that ended the tight game. Curry scored three points and surpassed the fourth-quarter final. The game was fierce, leaving only three minutes to go in the fourth quarter, and the Golden State was in full swing with more than 10 points. Phoenix's mistake ensued, and Golden State quickly shook his opponent with fast-paced three points. Eventually, the game finished with a score of 117-107.